I’m so excited to be featured on here. What an honor. I am Tiffany from Simply Modern Mom, a site focused on simplifying the lives of modern moms. Along the way I share crafty tutorials, show some craft and home projects, suggest parenting tips and write up lots of lists for simplifying your life. We have lots of fun over there at Simply Modern Mom, so please come for a visit and look around! I was excited when Kari asked me to guest post. 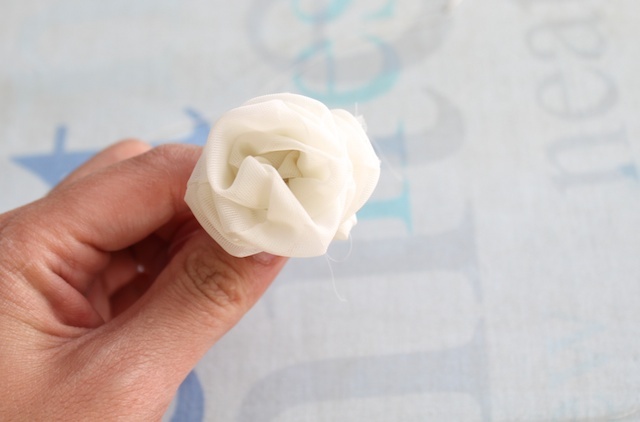 Since fabric flowers are all the trend right now, I stumbled upon this as I was making a ballet skirt for my daughter. 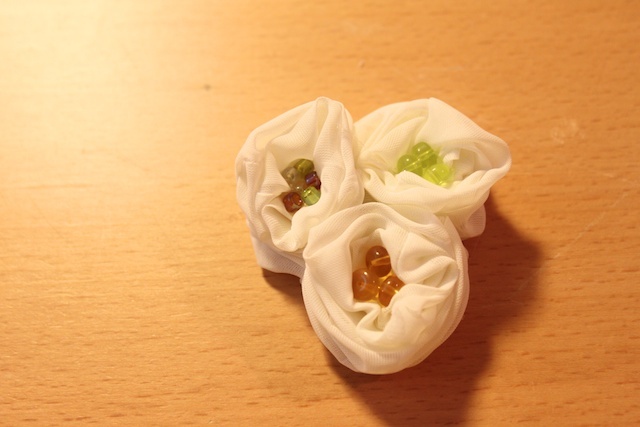 I was flipping some sheer fabric right side out and thought the scrunches made it look like a flower. After I made it, I thought it could also be called eggs in a nest because that’s what it looked like too. 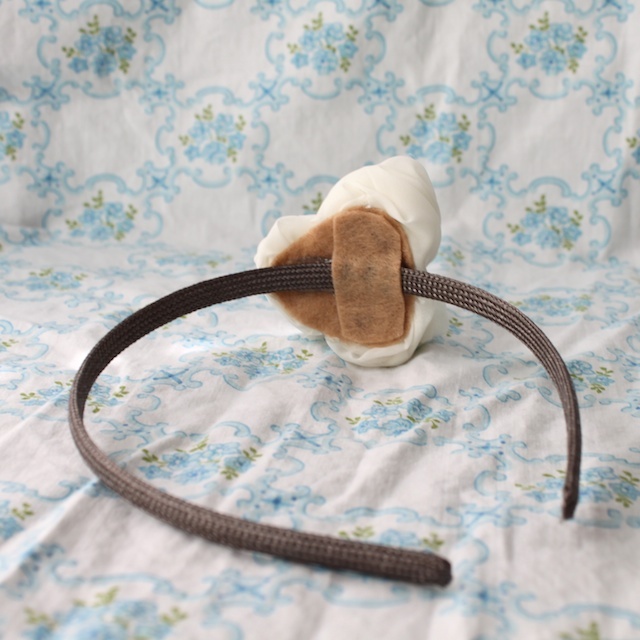 Glue it on a headband, hair clips or some pins for a brooch and you got a new fashion statement. If you make something using this tutorial, please upload pictures of it in our Flickr group to show it off to everyone. You may be featured on Simply Modern Mom. 1. 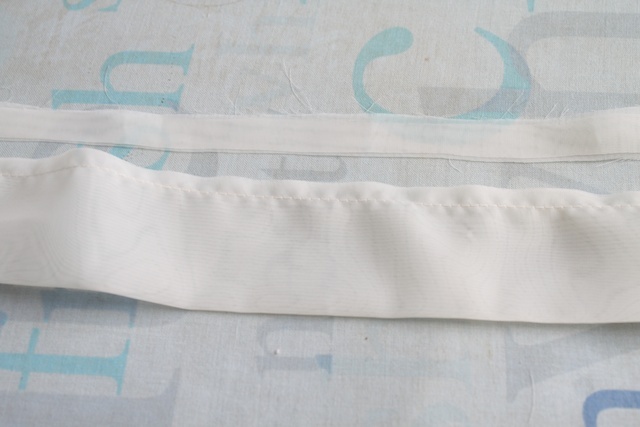 Cut a long strip of fabric with a width of 4 inches.2. 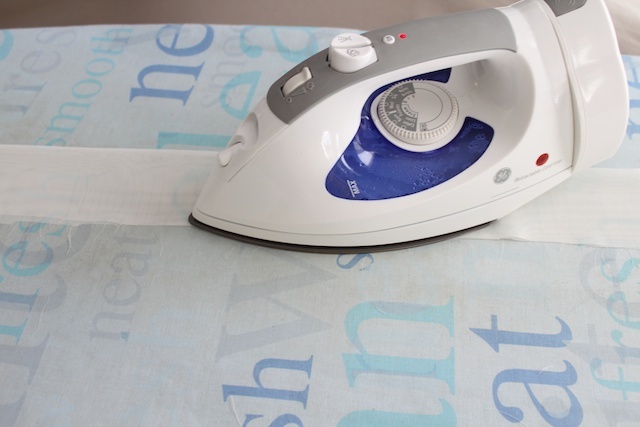 Iron it flat. 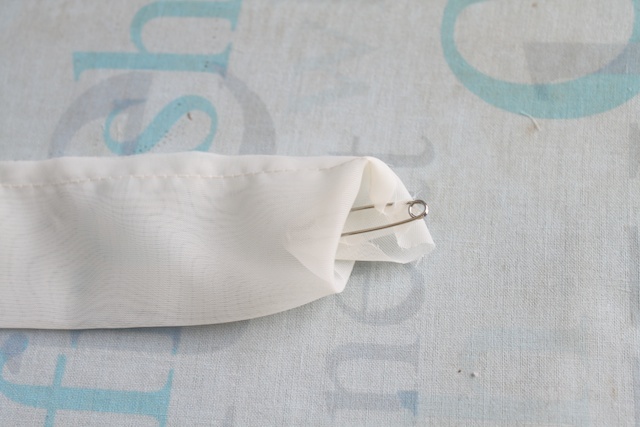 The sew the open edge lengthwise. 3. 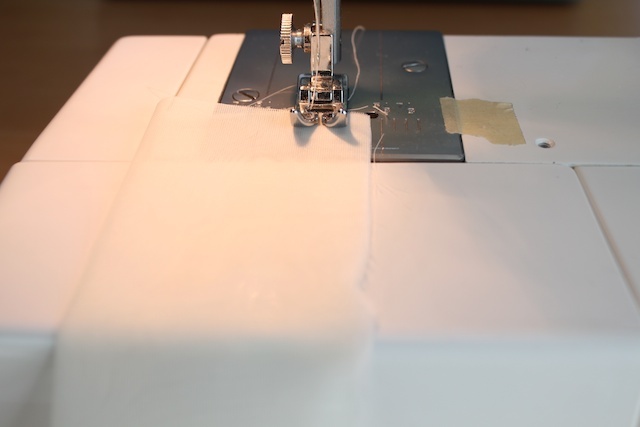 Trim off any excess seam you may have. You’ll want to get about 1/4 inch from the stitches or a bit closer. 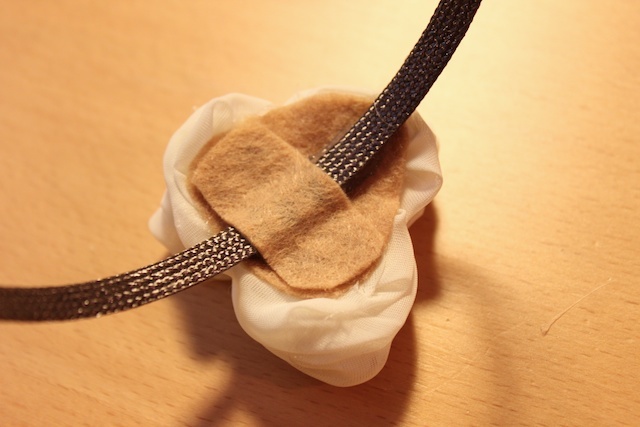 Then flip right side out using a safety pin. 4. Put your finger in the tube taking one of the open edge inside the hole. Scrunching the fabric as you go. Pretty much you are folding the fabric in half with half of it inside then scrunching it. 5. 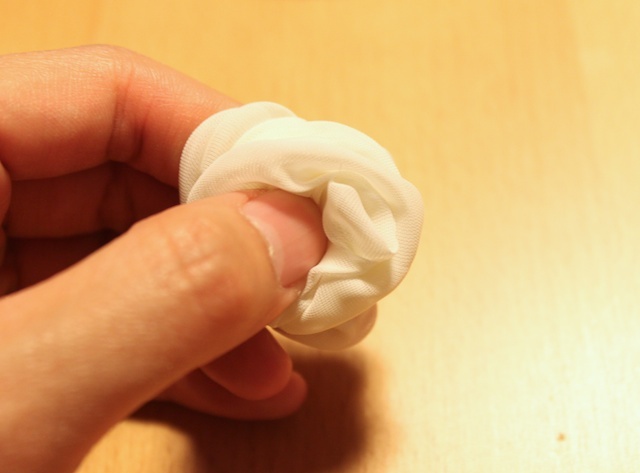 Pull off finger while holding the scrunched fabric together. 6. 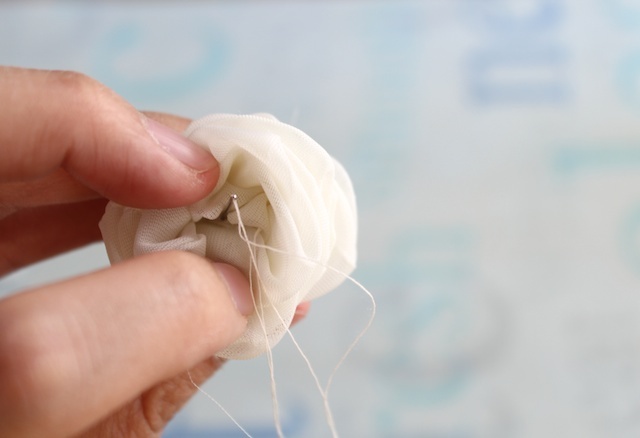 With a needle and matching thread, sew the scrunched flower back to front several times to secure the flower in place. Make three of them. 7. Cut a felt piece the size to fit three rosetta flowers on the back. 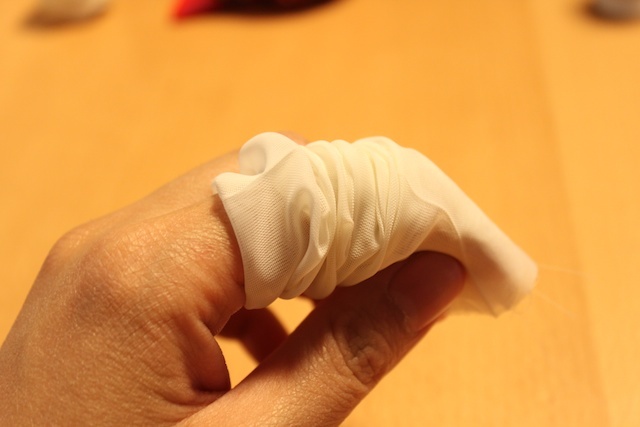 Glue them in place with glue gun. 8. 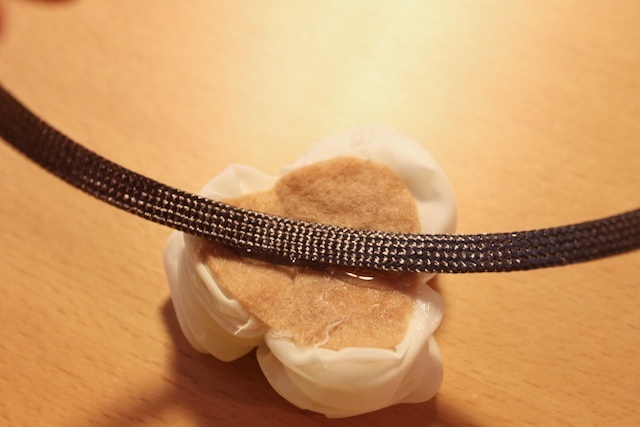 Glue some beads in the middle or whatever other adornment you may have. If this is for children, you may want to sew the beads in place so it’s more secured. 9. 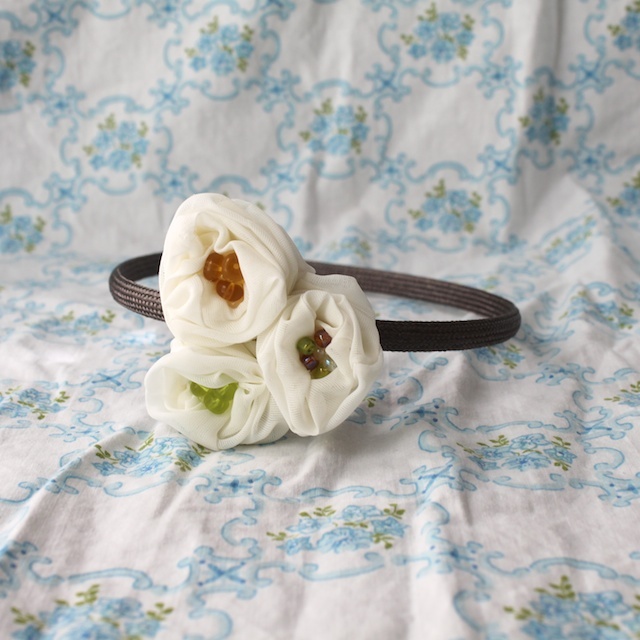 You can cover your headband by using the glue gun to glue ribbon wrapped around the headband to cover it and match the flowers. 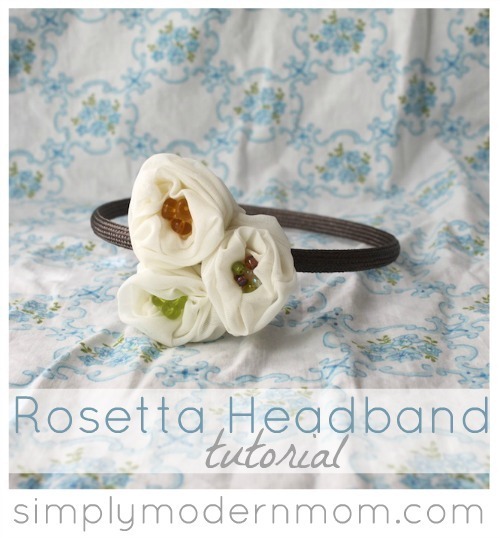 Or you can just glue the flowers right onto the headband itself. 10. Take another scrap felt piece and glue over the flower piece and headband. And done. Cute! I am loving all of these flowers! I love how easy and pretty these flowers are, I will have to try them soon! Thanks! Ohh I never thought of that! Thank u!! What a super adorable project – my little girl would love it! Thanks for sharing! Looks easy enough to make. 🙂 Cute one!